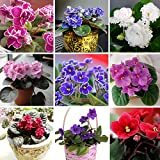 African violet seeds for sale – Easy plant to grow, grown for the ornamental flowers and for the leaves, planting all year round and when buy seeds more challenging than buying plants. 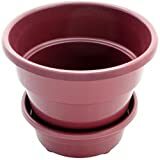 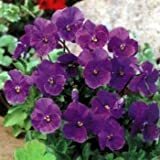 Growing information: perennial plant, growing hardiness zone: 13+, but mostly grown as house plant, water needed – average amount, light conditions – full shade, height: 5-40 cm, 2-16 inches. 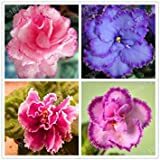 Blooming all the year in round shaped flowers that appear in blue, red, pink, white or purple color. 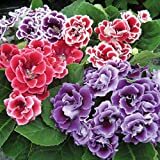 African violet seeds for sale – Is it recommend buying African violet seeds? 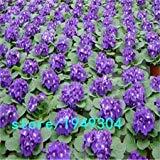 African violet seeds for sale – it’s not hard to grow from seeds, the only disadvantage it’s that hard to ensure the color of the flowers, the requirement to start from seeds it’s 22-25C for germinate, well-drained soil, shade with little light, high humidity.